Introducing one of the greatest comfort dishes of all time: biscuits and gravy! The Stoner’s Cookbook’s latest book, HERB, proves its utility with this infused take on one of homestyle cooking’s classics. Perfect for brunch with the family on a crisp morning or as an addition to this year’s Thanksgiving feast, consider pairing it with an uplifting sativa to counteract the sedative quality of the dish, or, alternatively, a physical indica to emphasize the warm fuzzies. If you have yet to preorder your copy of HERB, be sure to stop by and support this crowdfunded resource and further elevate the cannabis conversation. In a small bowl, stir together the milk and lemon juice. Let sit for at least 5 minutes, then whisk in the coconut cannabis cooking oil until fully combined. Set aside. In a large bowl, whisk together all dry ingredients until evenly combined. Cut the cold butter into the dry mix with either a pastry cutter or your fingers (if using your hands, make sure to work quickly to avoid over-warming the butter). Combine until the mixture resembles damp sand and the butter is in tiny particles. Slowly stir the milk mixture into the dry mix, about 1/4 cup at a time, until a slightly sticky dough forms. Turn the dough out onto a floured surface, dust lightly with extra flour, and gently knead only 4-5 times (take care to not over-work it). Pat the dough out into a 1-inch thick circle and use a biscuit cutter (or other sharp, round object of a similar size) to punch out the biscuits. Repeat until almost all of the dough is used (makes about 8 biscuits). Place cut biscuits onto a baking sheet in 2 rows, making sure all of the biscuits are touching, and gently brush with the melted butter. Sprinkle with the reserved teaspoon of sea salt and bake for 10-15 minutes or until they just begin to brown. Remove from oven, cool for 2 minutes, and enjoy immediately! Store cooled leftover biscuits in an airtight container for up to 3 days. With a wire balloon whisk, incorporate the flour into the melted butter and cook over low heat for 1 minute. Let the mixture come to a slight bubble, then remove from heat and whisk in the milk until fully combined. Add in about 1/4 tsp of sea salt. Return the pot to the stove over medium-high heat and whisk occasionally while the gravy comes to a light simmer and thickens (take care to avoid any burning around the bottom edges of the pot). Continuously whisk the gravy, working out any lumps until it is smooth and fully thickened up (3-5 more minutes). Turn off the heat and whisk in the rest of the sea salt, cracked black pepper, and sage to taste. 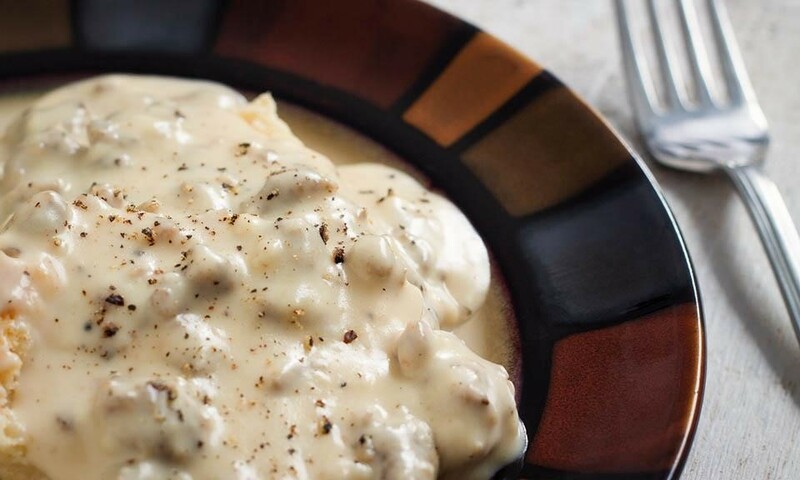 Serve the gravy as-is over any dish of your choice, or add in your favorite sauteed and crumbled veggie breakfast sausage to make a delicious vegan sausage gravy (highly recommended!). 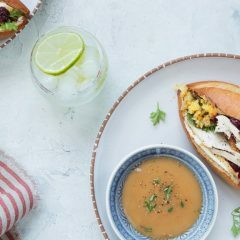 Note: The amount of cannabis oil and butter specified in this recipe is a very loose suggestion; the actual amount you use should be modified based on the strength of your cannabis oil and cannabutter and the potency you desire. 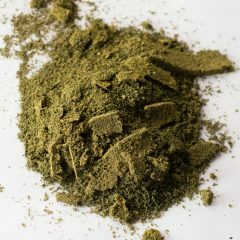 Dosing homemade edibles can be tricky (click here to learn why), so the best way to test for potency is to start with one portion of a serving, wait one to two hours, then make an informed decision on whether to consume more. Always dose carefully and listen to your body, and never drive under the influence of cannabis.